Serenity Now! 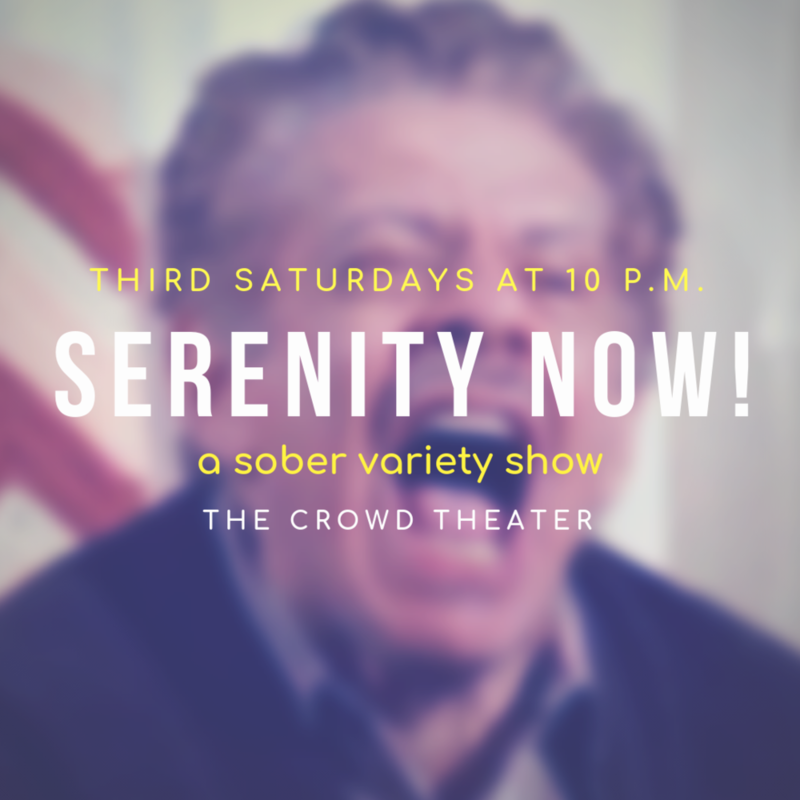 is a comedy showcase for performers in recovery from substance abuse addiction. Enjoy free sparkling water with ticket purchase. Out of respect for the performers, please no alcohol/drugs in the theater. As featured in the Chicago Reader!